Spaghetti and meatballs are as natural a pairing as hamburger and fries and whiskey and more whiskey so it’s natural to explore as many different variations of the noodles and meat dish that you can. After seeing a spaghetti bun and meatball burger, I thought the food gods would never bless us with anything more spectacular. I was wrong. 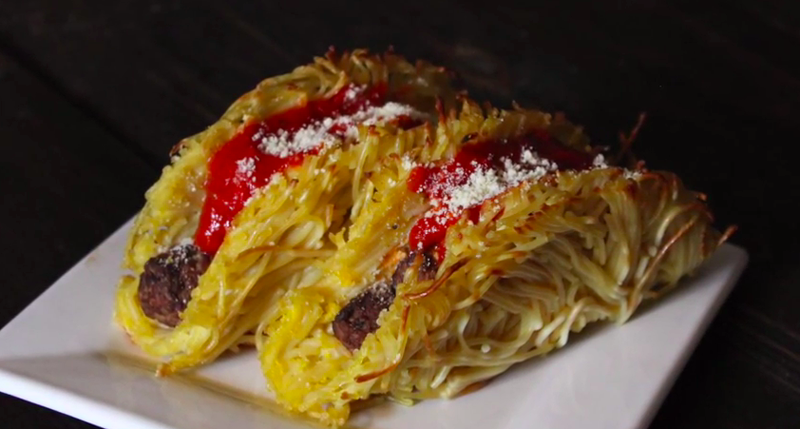 Vulgar Chef brings us the spaghetti and meatball taco and shows you exactly how to make it.